This paper investigates the potential for consumer-facing innovations to contribute emission reductions for limiting warming to 1.5 °C. First, we show that global integrated assessment models which characterise transformation pathways consistent with 1.5 °C mitigation are limited in their ability to analyse the emergence of novelty in energy end-use. Second, we introduce concepts of disruptive innovation which can be usefully applied to the challenge of 1.5 °C mitigation. Disruptive low-carbon innovations offer novel value propositions to consumers and can transform markets for energy-related goods and services while reducing emissions. Third, we identify 99 potentially disruptive low-carbon innovations relating to mobility, food, buildings and cities, and energy supply and distribution. Examples at the fringes of current markets include car clubs, mobility-as-a-service, prefabricated high-efficiency retrofits, internet of things, and urban farming. Each of these offers an alternative to mainstream consumer practices. Fourth, we assess the potential emission reductions from subsets of these disruptive low-carbon innovations using two methods: a survey eliciting experts’ perceptions and a quantitative scaling-up of evidence from early-adopting niches to matched segments of the UK population. We conclude that disruptive low-carbon innovations which appeal to consumers can help efforts to limit warming to 1.5 °C. The online version of this article ( https://doi.org/10.1007/s12053-018-9679-8) contains supplementary material, which is available to authorized users. The Paris Agreement on climate change stated an objective of ‘Holding the increase in the global average temperature to well below 2°C above pre-industrial levels and to pursue efforts to limit the temperature increase to 1.5°C’ (Article 2). The Paris Agreement was ratified and came into force in November 2016. To limit warming to 1.5 °C, global greenhouse gas emissions must reduce to net zero around mid-century, with residual emissions thereafter being more than offset by sinks or negative emission technologies (Rogelj et al. 2015). This requires a very rapid and pervasive transformation of the global energy system. Transformation pathways to achieve the 2 °C target or the more stringent 1.5 °C ambition of the Paris Agreement are quantified in detail by global integrated assessment models. Process-based integrated assessment models (hereafter ‘IAMs’) represent in some detail the key biophysical and socioeconomic processes in economic, energy, agricultural, forestry and other systems, as well as the impact of resulting emissions on the climate system (Sathaye and Shukla 2013). Global IAMs are commonly run over the remaining 80+ years of the twenty-first century to quantify cumulative long-term emissions and resulting warming outcomes. Consequently, IAMs provide a unique analytical bridge between global mean temperature rise, cumulative emission budgets, and detailed representations of energy-system transformation. In this way, they enable technology, cost and policy assessments of transformation pathways consistent with the objectives of the Paris Agreement. The Fifth Assessment Report of the Intergovernmental Panel on Climate Change (IPCC) synthesised evidence from 116 transformation pathways for limiting warming to 2 °C quantified by over 10 global IAMs (Clarke et al. 2014). Several ‘robust’ features of these pathways were consistently identified by the IAMs as integral to a 2 °C future: (1) The energy supply rapidly decarbonises, including large-scale deployment of biomass with carbon capture and storage (bioCCS) as a negative emission technology; (2) energy end-use rapidly and pervasively electrifies, and economies continue to become ever-more efficient; and (3) delaying concerted global action increases costs and increases the difficulty of meeting the 2 °C target. Two global IAM studies published recently have generated transformation pathways consistent with the even more restrictive 1.5 °C emissions budget (Rogelj et al. 2015; Luderer et al. 2016). Additional insights on 1.5 °C mitigation beyond the robust findings on 2 °C mitigation can be summarised as: ‘harder and faster’. Particular emphasis is placed on energy end-use: ‘Demand-side emissions account for most of the additional mitigation efforts for reaching the 1.5°C limit relative to 2°C pathways ... [because] in 2°C scenarios, freely emitting fossil installations are already almost fully eliminated from the power system by mid-century’ (p19–20, Luderer et al. 2016). Reducing demand-side emissions combines four effects: (1) improving conversion efficiencies of end-use technologies, (2) reducing losses from passive systems (particularly heat loss in buildings), (iii) reducing activity levels (e.g. passenger-kilometres of mobility, m2 of heated floorspace), and (4) changing the structure or mix of activities towards less energy-intensive alternatives (e.g. from driving private vehicles to cycling and walking). Global IAMs privilege mitigation from technical efficiency improvements (Table 17.11 in Riahi et al. 2012; p29 in Luderer et al. 2016). Explicit representation of end-use technologies and their passive systems in IAMs is generally quite coarse—and necessarily so for parsimonious and tractable models trying to capture the entire global energy system. End-use technologies are smaller in scale, orders of magnitude larger in number, more dispersed, and highly heterogeneous compared with the pits, pipelines and power plants of the energy supply (Wilson et al. 2012). Many end-use technologies are also consumer goods with a variety of attributes over which end-user preferences vary (Mundaca et al. 2010). Energy efficiency may be traded off against style, speed, safety, size and status. These ‘behavioural’ characteristics of end-use technology adoption pose problems for modellers needing reduced form and context-independent expressions of cause and effect. Consequently, changes in energy end-use in global IAMs tend to be captured at the aggregated sectoral level as a function of changing incomes and prices (Bauer et al. 2017). As a result, IAMs are neither designed to explore nor are useful for exploring the emergence of novelty in energy end-use. A backward look to 1930 tells us that it is not science fiction to imagine that portfolios of mitigation options in 2100 may look very different from those available today. Yet, peering through an IAM lens into a distant 2100 world in which warming has been limited to 1.5 °C, we see short-distance mobility is still by car, buildings still need heating and cooling, and food is still grown extensively using land. Consequently, scenario modelling tells us more about the preoccupations, beliefs and uncertainties of the present than about the possibilities of the future (Kramer 2018). Transformation pathways consistent with 1.5 to 2 °C mitigation rely heavily on the widespread diffusion of technologies which are currently available and already deployed in the market at scale (upper half of Fig. 1). These are ready substitutes for existing carbon-emitting or inefficient technologies: wind and solar power for unabated fossil power; electric and biofuel vehicles for the internal combustion engine; and energy-efficient buildings, appliances, lights and industrial processes for inefficient current practices. The striking anomaly is bioCCS, a pre-commercial mitigation option whose negative emissions are necessary to offset hard-to-decarbonise activity in industrial, agricultural and international freight sectors (UNEP 2017). This emphasis on commonly-available substitutes omits a wide range of novel energy-using goods and services which may diffuse rapidly among consumers (lower half of Fig. 1). These consumer-facing innovations are a potential means of pushing the speed and magnitude of emission reductions beyond that shown in transformation pathways for 1.5 °C mitigation. Which consumer-facing innovations may potentially reduce emissions to facilitate transformation pathways consistent with 1.5 °C mitigation? What is the magnitude of potential emission reductions from the widespread adoption of low-carbon innovations by consumers? We provide answers to these questions using a combination of methods, including expert workshops and bottom-up quantifications using observational data from early-adopting niches. Before presenting our methods and findings, we first explain our use of ‘disruptive low-carbon innovation’ (DLCI) as an analytical framework for identifying consumer-facing innovations with the potential to reduce emissions. Applying disruptive innovation concepts to 1.5 °C mitigation means also factoring in potential emission reductions resulting from widespread adoption. Disruptive low-carbon innovations (DLCIs) therefore combine an emphasis on private benefits for consumers (novel attributes and value) with social benefits or public goods (lower emissions) (Wilson 2018). This public-goods characteristic is an important distinction from usual applications of disruptive innovation. It points to the supporting role of public policy or other mechanisms for incentivising low-carbon innovation among private firms. It also shifts the object of disruption from incumbent firms and markets to the high-carbon practices and their associated service providers in mainstream markets (Table 1). Technological and business model innovations which offer novel value propositions to consumers and which can reduce greenhouse gas emissions if adopted at scale. We use three main methods to answer our two research questions. First, we comprehensively survey peer-reviewed and grey literature to identify potential DLCIs (Q1). Second, we elicit perceptions of low-carbon innovators and researchers during two expert workshops (Q1, Q2). Third, we identify early adopters of select DLCIs and ‘scale-up’ observed emission reductions to matched segments of the UK population. This provides first-order estimates of mitigation potentials (Q2). We surveyed a wide range of literature on low-carbon innovation and energy-system transformation to identify potential DLCIs. Our survey encompassed modelling analysis of 1.5 to 2 °C mitigation, bottom-up sectoral analyses, innovation case-studies, news reports, blogs and magazine articles. We sought specific mentions of the terms ‘disruptive’, ‘game-changing’, ‘breakthrough’, ‘radical’ used in reference to energy, carbon, or climate change-related innovations. We used convenience and snowball sampling of diverse sources, rather than a systematic literature review based on pre-defined search terms applied to pre-identified databases. This was for two reasons. First, ‘disruption’ and disruptive innovation are slippery, inconsistently defined terms (Wilson 2018; Wilson and Tyfield 2018). Second, online content from commentators, think tanks and industry observers are important sources in this fast moving field. Given this methodological preference, we cannot and do not claim that the potential DLCIs identified are exhaustive. However, we did find evidence of sampling saturation as additional search effort tended to yield variants of already-identified innovations rather than new ones. A final set of 99 potential DLCIs identified from the literature is provided in Table SI-1 (online Supporting Information), organised into four domains: mobility, food, buildings and cities, and energy supply and distribution. Eleven meta-innovations which are cross-cutting, enabling or embodied in either downstream or upstream innovations. These three groups are shown in full in Table SI-1. Our analysis and results focus only on the 42 potential DLCIs which are clearly consumer-facing. The literature search and subsequent screening are therefore consistent with the four key elements of DLCIs as defined above: technological and business model innovations, novel value propositions, consumer-facing, and potential to reduce greenhouse gas emissions if adopted at scale. We held two workshops in London in March 2017 to explore the potential contribution of disruptive innovation to reducing carbon emissions. The workshops were organised by Future Earth and the Tyndall Centre, with financial support from the UK Science & Innovation Network. The first workshop focused on innovations and markets, bringing together firms, investors, market intermediaries and policymakers. The second workshop focused on research needs and challenges, bringing together thinkers and researchers working on disruption, system transformation and innovation. A full report of the workshops including all key findings is available at silci.org and in Wilson (2017). Low-carbon innovation experts participating in the workshops were sent a short pre-workshop survey to elicit their perceptions of DLCIs in terms of both disruptiveness and emission reductions. A total of 32 (of 40) participants from the innovator workshop and 24 (of 35) participants from the researcher workshop completed the survey (response rates of 80 and 63%, respectively). Average survey completion time was 4 min. This is a small sample size and provides illustrative results only. The survey asked respondents to select their domain of greatest expertise: mobility, food, buildings and cities, energy supply and distribution. In their selected domain, respondents were asked to score a set of 10 low-carbon innovations on two 7-point scales: potential disruptiveness (+ 3 = very disruptive, − 3 = not disruptive at all) and potential emission reductions (+ 3 = large reduction in emissions, − 3 = large increase in emissions). The sets of 10 innovations in each of the four domains were based on the literature survey, mainly focusing on consumer-facing innovations but with some upstream supply-chain and production innovations included for comparison purposes. Potential DLCIs are by definition not yet mainstream. Empirical evidence of their impact on emissions is therefore limited. In the absence of measurable effects, either prospective modelling or case-study analysis is an alternative for quantifying impacts. We use the second approach, based on evidence of how DLCIs have impacted behaviour, energy use and emissions in early-adopting market niches. Steps (1) and (2) are based on actual (observed) change in real-world settings. Steps (3) and (4) are a hypothetical scaling-up exercise which asks: What would be the impact on emissions if all those in the UK population with similar characteristics to actual early adopters also adopted the DLCI? The UK is a useful case-study country as long-term emission-reduction targets in line with 2 °C mitigation are enshrined in UK law through the Climate Change Act (BEIS 2017b). The incremental challenge for moving from a 2 °C to 1.5 °C mitigation pathway has not yet been formally defined by the UK government. However, modelling analysis confirms the basic intuition that much stronger mitigation efforts are needed than those currently prescribed by policy (Pye et al. 2017; UK CCC 2017). The potential DLCIs identified in the literature survey were grouped and organised into a final set of 99 technological and/or business model innovations shown in full in Table SI-1 (online Supporting Information). They vary widely in their specificity, application, technological radicalness, cost and accessibility. But, several underlying themes are clear. Everyday life is being digitalised (Røpke et al. 2010). Exponential cost reductions show few signs of saturating in small-scale, low unit cost, modular technologies from PV panels and batteries to chips and sensors (Farmer and Lafond 2016). Digital-enabling of peer-to-peer and other sharing-economy platforms are raising ‘usership’ as an alternative to single-purpose ownership (Frenken 2017). Traditionally centralised energy infrastructures and utility service providers are being eroded away at the edges (Fares and Webber 2017). Transportation and electricity systems are also converging as electrons and bits are entering the historical realm of hydrocarbons (Freeman et al. 2017). Passive energy consumers are diversifying into multifarious roles of producer, citizen, activist, designer, community member and advocate (Schot et al. 2016). These trends towards more digital, granular, use-based models of energy-service provision are opening up new value propositions for consumers with potential benefits for emission reductions. Table 2 shows the consumer-facing DLCIs identified as relating to mobility, grouped into four broad types: alternative fuel or vehicle technologies displacing the internal combustion engine (ICE), alternative forms of auto-mobility displacing private car ownership and use, alternatives to auto-mobility displacing car use, and reduced demand for mobility. All four strategies target private ownership and use of petrol or diesel-powered ICE vehicles. Most of the potential DLCIs in Table 2 are defined by some combination of business model and technological innovation. Table 2 is not a comprehensive set of innovations for reducing mobility-related emissions. It summarises only those identified in the literature survey which are consistent with our definition of DLCIs in offering novel value propositions to consumers. Some consumer-facing innovations are excluded because either they are not novel or they compete on already-valued mainstream attributes including price, efficiency and reliability (e.g. fuel-efficient cars). There are also a whole host of non-consumer-facing strategies which rely more directly on regulation (e.g. fuel taxes), infrastructure (e.g. cycle highways) or planning (e.g. car-free communities). Some of these are captured in Table SI-1 (online Supporting Information). The impact of potential DLCIs on energy end-use and so emissions depends on the emission profile of the incumbent good or service being displaced. Table 2 links each potential DLCI with the higher-carbon incumbent which currently dominates mainstream consumption. This is indicative only; what DLCIs actually displace will vary by context and adopter segment. As an example, alternative forms of auto-mobility may displace private car ownership and use, or may substitute for public transport and active modes (Sprei 2018). Displacement of incumbents is therefore set against a dynamic and variegated background of changing technologies, users and markets, which are themselves potentially shaped by disruptive innovation (McDowall 2018; Tyfield 2018). Each potential DLCI identified varies in the novel attributes of potential appeal to consumers. Some are goods with high investment costs; others are use-based services. Some preserve individual or household-scale autonomy and independence; others tie users into relational networks. Alternative forms of auto-mobility such as car clubs clearly diverge from the incumbent model of private car ownership and use. So too do alternatives to auto-mobility such as mobility-as-a-service. These potential DLCIs offer novel value propositions based around service consumption (or usership), pay-per-use, choice variety, flexibility and freedom from maintenance and care responsibilities (Prettenhaler and Steininger 1999). In contrast alternative vehicle technologies sustain the incumbent model of auto-mobility but with lower emissions. Apart from being cleaner, the novel attributes for consumers are less clear. As an example, biofuel vehicles are a broadly like-for-like substitute for ICE vehicles in terms of their driving, maintenance and functional characteristics (Ribeiro et al. 2012). However, both biofuel, fuel cell and electric vehicles—while reinforcing prevailing norms on private car ownership and use—offer low or zero emission alternatives to ICEs, while also being consistent with green identity and associated status signalling (Axsen and Kurani 2013). Table 3 shows the consumer-facing DLCIs related to food identified by the literature search, together with the mainstream higher-carbon practice they typically displace (which determines their potential impact on emissions). The DLCIs are grouped into four broad types: alternative dietary preferences reducing demand for livestock production; urban food production displacing large-scale, extensive rural food production and associated food miles; producer-consumer relationships displacing impersonal centralised retail (including supermarkets); and reduced demand for food by tackling food waste. As with mobility, these DLCIs are identified in the literature as potentially contributing to emission reductions by displacing or substituting for energy-intensive food production, distribution and waste. Realistically achievable emission reductions in real-world contexts require careful empirical analysis and will vary across adopters and contexts. In the food domain, this implies lifecycle or system analysis to link changes in consumption with agricultural practices upstream (Springmann et al. 2016). Some of the potential food-related DLCIs in Table 3 may not seem overly new. Examples include reduced meat in diet, community farms and own-food growing. They are included in Table 3 because of novel applications of digital technologies in business models which create, enable or incentivise new consumer practices. For example, ‘Part-Time Carnivore’ and ‘The Climatarian Challenge’ gamify low-carbon diets through apps which record, connect and challenge user practices. Other potential DLCIs in Table 3 characterise less carbon-intensive forms of food production which are not evidently consumer-facing. Examples include vertical farming, rooftop greenhouses and food link schemes. They are included in Table 3 because they introduce, bring closer or strengthen direct links or relationships between producers and consumers. Again, this is often enabled by digital technologies. For example, online producer-consumer hubs such as ‘Farmdrop’ or ‘Open Food Network UK’ serve as digital marketplaces allowing consumers to buy directly from multiple producers subject to pre-specified dietary preferences, nutritional requirements, production techniques or location. There are many other innovations and strategies for reducing emissions through alternative farming and land-use practices which are not included in Table 3 as they do not clearly offer novel value propositions to consumers (see column headed ‘upstream’ in Table SI-1). These alternative farming practices range from sustainable intensification, precision ‘smart’ agriculture and agroforestry to aquaculture and greenhouse hydroponic systems (FAO 2013). As is often the case with disruptive innovations, many of the food-related DLCIs perform poorly on valued mainstream attributes such as year-round availability, standardisation, cheapness, and one-stop shop availability (at centralised retailers). However, they offer new sources of value across many different attributes, creating opportunities for consumers to express preferences for healthier, localised, personalised, interconnected food systems. In some cases, defined market niches are well established, and the DLCIs are less reliant on technological innovation than is the case for mobility. Table 4 shows the consumer-facing DLCIs related to buildings identified in the literature search. They are grouped into three broad types: interconnectivity for optimised usage of devices, appliances, homes; improved thermal performance through alternative heating technologies, improved building design and construction, or energy management; and reduced demand for space and materials through sharing of surplus or shareable capacity. Many of these are in turn enabled by urban-scale innovations which either collect and analyse data to improve system integration and performance (under the rubric of ‘smart cities’) or which improve upon design, construction and planning practices (e.g. construction of Passivhaus or net zero energy buildings). These upstream innovations relating more to infrastructure and cities are included in Table SI-1 but are excluded here as they do not directly offer novel value propositions to consumers. Of the potential DLCIs identified across four domains, those relating to buildings were the least clear in offering novel and appealing value propositions. Control and controllability are the main new attributes promised. By integrating digital interfaces and connectivity into smart appliances, heating, lighting and home energy management systems, building users have a wider range of potential control functionality (including automation, adaptive learning and user-defined routines). But, it remains unclear if this control functionality is appealing, useable, and emissions-reducing (Hargreaves and Wilson 2017). These same innovations also tend to reduce users’ autonomy by increasing the dependence of building management and performance on external service providers and infrastructures. Table 5 shows the consumer-facing DLCIs related to energy supply and distribution, together with the higher-carbon incumbent they may displace. This domain is explicitly about technological and business model innovations at the interface between end-use and supply. The DLCIs are grouped into three broad types: new service providers or market entrants with novel service offerings for end users; integrating consumers into grids increases the demand-responsiveness of end-users to grid constraints (e.g. for avoiding costly or high-carbon peak generation); and decentralised energy supply includes both technologies (e.g. solar PV + storage) and organisational forms of service provision (e.g. community energy). There are a host of other resources and technologies for decarbonising the energy supply (e.g. offshore wind, nuclear reactors) as well as enabling infrastructures (e.g. utility-scale grid storage for balancing intermittent renewables). As shown in Fig. 1, these upstream innovations are emphasised by global IAMs in transformation pathways consistent with 1.5 °C mitigation. Although included in the full list of DLCIs in Table SI-1, they are excluded here as they do not have clearly distinguishable consumer-facing attributes. This is particularly the case for alternative ways of generating or supplying electricity, as this is a homogeneous commodity for consumers. Energy supply and distribution-related innovations cluster around value propositions which challenge centralised networks and utilities. These value propositions see electricity users in particular diversifying their roles away from passive consumption towards actively managing, producing, trading and organising (Schot et al. 2016). The changing roles of energy end-users are enabled by digitalisation to enable the integration and management of diverse small-scale energy resources and rapid cost reductions in household-scale technologies like solar PV and batteries. Tables 2, 3, 4 and 5 provide a general indication of the higher-carbon incumbent which potential DLCIs may displace. Most of these DLCIs are not yet or only recently commercialised (lower half of Fig. 1). This section and the next section present expert perceptions and what-if estimations of emission-reduction potentials for subsets of the DLCIs identified in Tables 2, 3, 4 and 5. Low-carbon innovators and researchers participating in two expert workshops were asked to score sets of low-carbon innovations along two dimensions: disruptiveness and emission reductions. Figure 2 plots the mean scores on potential disruptiveness (y-axis) and potential impact on emissions (x-axis) for innovations in each of the four domains. The innovations were drawn from the full set of those identified in the literature survey and include both consumer-facing DLCIs (closed circles) as well as select upstream innovations for comparison purposes (open circles). Food-related DLCIs are not included here, as only two consumer-facing DLCIs were scored in the food domain by a small number of respondents. How low-carbon innovators and researchers scored the potential DLCIs is revealing. First, many innovations considered by experts to be highly disruptive are either dependent on technological advances (e.g. internet of things, smart grids, vertical farming) or do not appear to offer novel attributes valued by end users (e.g. artificially-lit greenhouse agriculture, large-scale grid storage). Potential DLCIs for buildings in particular are strongly technological (and weakest in terms of business model innovation). One interpretation is that changes in energy end-use are most strongly constrained in buildings and cities by long-lived existing infrastructures. Second, various highly-scored potential DLCIs appear dependent on behavioural change, without a clear link to technological or business model innovation. This is most strongly the case for food (e.g. reduced food waste, reduced meat in diet). However, as noted earlier, digital technologies are opening up opportunities for new business models to facilitate innovation in this area. Third, potential emission reductions are contingent on the innovations being adopted at scale in the market, so should implicitly account for both the size of potential market demand and the incumbent good or service being displaced. The relative scorings of potential DLCIs in the Fig. 2 plots seem more influenced by proximity to market and current market size than longer-term transformative potentials. As an example, autonomous vehicles are scored much lower in potential emission impact than electric vehicles even though autonomous vehicle studies generally assume electrification (Arbib and Seba 2017). However, it is not possible to infer reliably the extent to which respondents were accounting for displaced goods or services when scoring particular DLCIs. Results from the expert survey are consistent with the literature in identifying emission-reduction potentials from DLCIs. Quantitative estimates of the magnitude of these emission reductions need to account for both market growth potential and the displacement of higher-carbon incumbents. We developed and applied a standardised methodology to quantify potential emission reductions from a sample of DLCIs using the UK as a case study. We relied to the extent possible on actual observations of energy or emission reductions among early adopters. We then scaled up this evidence base to the UK population based on matched sample characteristics. Taking urban farming as an example, we identified a community farm in Sutton (an urban district in London) as an early adopter. A detailed lifecycle analysis quantified emission reductions from the farm’s produce at 34 tCO2e per hectare per year, accounting for both displaced high-input agriculture and avoided food miles (Kulak et al. 2013). Two hundred ninety-five urban districts in the UK have equivalent or lower population density to Sutton (ONS 2015) so could potentially site comparable community farms. Assuming similar types and quantities of annual produce, this yields potential emission reductions of 2.1 MtCO2e per year from scaling-up Sutton’s precedent to the UK as a whole. Further details for this example are provided in online Supporting Information Table SI-2. We implemented the scaling-up methodology on a sample of 11 potential DLCIs across the mobility, food and building domains. These DLCIs were selected, as behavioural, energy or emissions data were available from early-adopting niches. Table 6 summarises the results, with full documentation of assumptions, data and sources provided in Table SI-2. Potential emission reductions from 11 DLCIs total ~ 2.5% of the UK’s annual emissions from passenger vehicles, ~ 11% of the UK’s annual emissions from agriculture and ~ 2% of annual emissions from homes. These estimates for the UK from a select set of 11 DLCIs are a first-order (back of the envelope) indication of potential emission reductions based on observations of what actually happens to energy and food demand when consumers adopt DLCIs. The main assumption is that the DLCIs scale up from existing early-adopting niches to the UK as a whole, but only within the population segments matched to early adopters. This is a conservative assumption. There is strong evidence from diffusion research that later-adopting population segments are initially risk averse but become more attracted to innovations as they learn from the experience of early adopters (Rogers 2003). As a result, the characteristics of adopters diversify as the innovation becomes more widespread. Mobility. The International Transport Forum (ITF) evaluated city-scale impacts of new forms of mobility using an agent-based simulation model of Lisbon, Portugal, based on real mobility and network data. They found that a combination of shared taxis and taxi-buses (30 min pre-book, flexible route) could use 3% of the existing car fleet to provide a flexible, cheap, available, comfortable alternative to private vehicle ownership and use, reducing CO2 emissions by 34% and congestion to close to zero (ITF 2016). A separate study found that a fleet of shared autonomous vehicles comprising multiple passenger ‘Taxibots’ and single passenger ‘Autovots’ could use 10–20% of the existing vehicle fleet to provide a viable alternative to both private cars and buses, with commensurate benefits for freed-up road infrastructure (ITF 2015). Food. Lifecycle analysis of the environmental impacts of cultured meat grown in a bioreactor estimated 7–45% lower energy use and 78–96% lower greenhouse gas emissions (including methane) relative to conventionally produced meat in Europe (Tuomisto and Teixeira de Mattos 2011). Buildings. 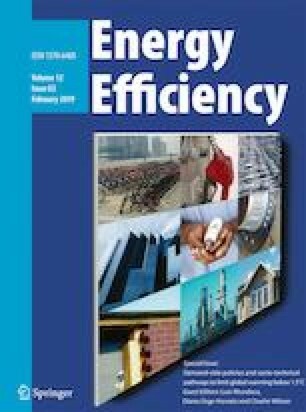 Shifting or curtailing energy use through demand response to utilities’ price signals while accounting for household comfort found that home energy management systems (HEMS) could reduce electricity costs by 23% and peak demand by 30% with corresponding reductions in emissions (Beaudin and Zareipour 2015). Global IAMs are useful analytical tools linking transformation pathways to warming outcomes consistent with the 1.5 °C ambition of the Paris Agreement. However, IAMs have important limitations in their ability to analyse the emergence of novel consumer-facing goods and services. Bottom-up, sectoral, case study analysis provides complementary insights to top-down global modelling on the rapid and pervasive emission reductions needed for 1.5 °C mitigation. Disruptive innovations are pulled into mainstream markets by the attractiveness and novelty of their value proposition for consumers. Disruptive low-carbon innovations (DLCIs) represent an underexplored dimension of 1.5 °C mitigation pathways which require ever-greater emphasis on demand-side emission reductions (Rogelj et al. 2015; Luderer et al. 2016). This paper presents an initial analysis of consumer-facing DLCIs and their potential to reduce emissions. We asked (Q1): which consumer-facing innovations may potentially reduce emissions to facilitate transformation pathways consistent with 1.5 °C mitigation? Tables 2, 3, 4 and 5 identify a wide range of consumer-facing DLCIs which can displace higher-carbon practices. Some of these DLCIs are built on business model innovations (e.g. car clubs, energy service companies); others rely on technological breakthroughs (e.g. cultured meat, autonomous vehicles). Many potential DLCIs combine traditional energy-using hardware with digital platforms or controls (e.g. peer-to-peer electricity trading from domestic PV with battery storage). In general, the DLCIs identified are more distributed, accessible, small-scale, shareable, and extendable or replicable at low marginal cost relative to the incumbents they displace. In other words, DLCIs tend to offer user-scaled alternatives to large-scale, infrastructure-dependent, centrally provided goods and services. In a low-carbon context, this points towards a ‘granular’ distributed energy transformation involving end-users in multiple domains and services from heating and eating to moving and making. The appeal of DLCIs to consumers is centred around novel attributes. The attractiveness of these attributes will help determine the speed of diffusion into niche and then mainstream markets. Consumer preferences are likely to vary strongly between adopter segments, whereas early adopters may be price-insensitive and attracted to new functionality, identity signalling or status distinctions, and more mainstream consumers are typically concerned with price, reliability and compatibility (Rogers 2003). Diffusion out of early-adopting niches is far from certain. Yet, this diffusion is a determinant of the relevance of DLCIs for 1.5 °C mitigation. We asked (Q2): what is the magnitude of potential emission reductions from the widespread adoption of low-carbon innovations by consumers? Actual emission reductions from DLCI adoption depend on what is being displaced. As by definition, DLCIs are not yet mainstream, and careful in situ studies of early-adopting niches are needed to quantify changes in behaviour, energy use and resulting emissions. These should account for both the socioeconomic and lifestyle characteristics of the adopters, contextual conditions shaping adoption (e.g. policies, infrastructures, incentives), as well as any observed rebound effects. As examples, car sharing may substitute for car ownership and use, or may complement it as a flexible ‘second car’ option; mobility-as-a-service (MaaS) may move people onto public transit by weaving seamless intermodal connections or may result in taxis substituting for active travel modes for the final legs of journeys (Sprei 2018). In the absence of robust evidence from market behaviour, we drew on expert perceptions, innovation-specific quantifications, and literature review to characterise emission-reduction potentials. These potentials are contingent on DLCIs displacing carbon-intensive modes of energy-service provision ranging from private car ownership and use, large-scale food production and distribution, inefficient building design and performance, and centralised energy-supply networks. As well as directly reducing emissions by displacing higher-carbon practices, DLCIs also have an indirect effect. Disruptive innovations are typically brought to market by new entrants who challenge mainstream service providers. The political economic power and vested interests of incumbent firms, particularly those with interests in fossil fuels, are considered a major source of stability or ‘carbon lock-in’ in current systems (Unruh 2000; Seto et al. 2016). Consumers attracted to DLCIs can undermine the business models on which this stability rests. This is already evident in the ‘edge-of-the-grid’ threats to conventional energy utilities from decentralised energy resources (Wainstein and Bumpus 2016). Incumbent firms may of course co-opt or adapt to disruptive threats. But, these defensive responses presage wider system transformation. This is an important area for further research. Whether it is appropriate or relevant to view this transformative potential through the lens of discrete innovations is open to debate. This debate is clearly evidenced by 10 contrasting perspectives on ‘Disruptive Innovation and Energy Transformation’ in a recent Special Issue (Geels 2018; Wilson and Tyfield 2018). Limiting warming to 1.5 °C requires concerted innovation throughout the global system of producing, distributing and using energy (Grubler and Wilson 2014). Consumers and consumption are commonly framed as part of the problem. Consumption is energy (and material) intensive and expands in lockstep with income (Sorrell 2015). Consumers are addicted and profligate (Costanza et al. 2017). Yet, consumption also has transformative potential. Disruptive innovation is a lens through which to examine this transformative potential of novel goods and services. Disruptive low-carbon innovations (DLCIs) combine business models and technologies to create appealing value propositions for consumers. This can engage consumers in efforts to reduce emissions. DLCIs are therefore an important lens through which to examine 1.5 °C mitigation. They focus attention on consumers as possible agents of transformative change both directly by displacing carbon-intensive goods and services, and indirectly by dislodging incumbent firms. Other examples of disruptive innovation according to Christensen include desktop photocopiers vs. giant Xerox copy machines; digital photography vs. film; mobile telephones vs. landline services; small off-road motorcycles (e.g. Honda) vs. large powerful bikes (e.g. Harley); transistors vs. vacuum tubes; discount retailing vs. department stores; drones vs. bombers; Wikipedia vs. Encyclopaedia Britannica; massive open online courses (MOOCs) vs. university degrees; and outpatient and in-home clinics vs. general hospitals. In each case, disruptive innovations enter the market as ‘good enough’ alternatives which offer something novel to an under-served market segment. Christensen defined disruptive innovations as low-end, low-tech goods and services attractive to users marginalised by mainstream goods and services. This has since been challenged by a ‘Silicon Valley’ argument that disruption can and does also come from above (Arbib and Seba 2017). High-end and typically high-tech products with more capabilities and functionality than mainstream alternatives appeal initially to a price-insensitive or technophile market niche (Seba 2014). But, exponentially declining costs and exponentially improving performance mean that these high-end products rapidly outcompete incumbents and move mainstream. It is important to note that including high-tech products blurs the distinction between Christensen’s emphasis on disruptive innovations whose challenge is primarily one of finding markets and users, and the more familiar dichotomy in the innovation literature between radical and incremental innovations which describes the extent of technological advancement or breakthrough (Wilson and Grubler 2014). This research was supported by ERC Starting Grant no. 678799 for the SILCI project (Social Influence and Disruptive Low Carbon Innovation). Additional support was provided from the UK Department of Business, Energy and Industrial Strategy (BEIS) as part of the project ‘Implications of global warming of 1.5°C and 2°C project’. The workshops were funded by the UK Science & Innovation Network and co-organised with Future Earth. Vogel, G. (2008). Upending the traditional farm. Science, 319,(5864), 752–753. https://doi.org/10.1126/science.319.5864.752.